A fresh poll from the Field Research Corporation shows statewide support for nuclear power plummeting. The survey, taken earlier this month, shows that support for expanding nuclear power in California has dropped to 38%, from 48% last year, when only 44% opposed the idea. In the newest poll, 58% surveyed said they did not agree that more nuclear power plants should be built in the state. Field analysts say the numbers are a clear reflection of the shift in sentiment worldwide, since the Fukushima nuclear crisis in Japan, a tense series of events that have remained front page news since March 11. Since then, Germany, Switzerland and Italy have all decided to scrap their nuclear energy programs. In spite of it all, confidence in California’s existing nuclear plants remains high. 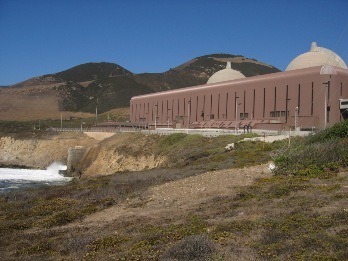 Only two plants remain in service, PG&E’s Diablo Canyon facility on the Central Coast, and the San Onofre plant, operated jointly by Southern California Edison and San Diego Gas & Electric. And according to the Field Poll, Californians expressed confidence in the safety of those installations by almost two-to-one (56%-32%). Just 39% of respondents said that the state should phase out nuclear power over ten years. A report accompanying the poll results says that attitudes toward nuclear power have closely tracked high-profile incidents over the years, with support dropping after accidents at Three Mile Island (PA) in 1979 and Chernobyl (Ukraine) in 1986. Support peaked in 1976 at 69% and has not crested 50% since the Three Mile Island incident. Statewide, opposition is most concentrated in the San Francisco Bay Area, according to Field. The poll has a margin of error of +/- 4.6 percentage points. UPCOMING Coverage: In July, Climate Watch and our content partners will provide a series of reports on seismic safety and the problem of accumulating nuclear waste at California’s nuclear power plants. The latter will include a three-part radio series, to air on KQED’s The California Report, in advance of a national commission report, due out on July 29. The US government US naval research lab has been working on this technology for over 10 years . Rossi has announced a 1MW Cold Fusion facility to be opened in Greece this Oct.
“..Ampenergo was founded by Karl Norwood, Richard Noceti, Robert Gentile and Craig Cassarino. It is important to note that Robert Gentile was the Assistant Secretary of Energy for Fossil Energy at the U.S. Department of Energy (DOE) during the early 1990’s. This helps confirm Rossi’s claim that tests of the E-Cat have been observed by the U.S. Department of Defense and the DOE. It is very likely that at least certain individuals in the DOD and DOE are aware and interested in the Energy Catalyzer. Dennis Bushnell is a Chief scientist at NASA Langley Research Center in Hampton, Virginia. He is also an inventor, author, and has been a consultant to countless government and military agencies. A few of these include the DOD, Air Force, DARPA, and the NRC. To read a more complete summary of his background, a good review can be found here. Recently, he was interviewed during an EV World podcast. This shows how using public opinion for complex issues is a problem and that beyond what many “conservatives” might say shaping public opinion is important – and not just by PG&E or some other corporate interest. To see public opinion sway based on day to day, month to month, year to year, ect, ect is crazy as the solution to long term power generation is on the scale of 50 years or more. I wish the public actually studied power, understood science and could make educated decisions rather than having rash reactions to disasters based on the small amount of information they see on cnn or fox – most people don’t have any idea how bad the radiation is long term in Fukashima, or Chernobyl, just the one liners they get from news sources – than you NPR for providing so much more. My overall position on nuclear power has not been changed much by Fukashima – I am pro nuclear in the short term, but believe in solar (many varieties) and eventually a hydrogen/electric solution. Fukashima was a terrible mistake, but could have been predicted to it, or many other plants around the world – it is just a matter of time. What is not discussed is that Fukashima was probably one of the best facilities of the older facilities in operation – it was built to withstand strong earthquakes – and it did. The problem was that the standards were too low for earthquakes and Tsunami’s. Fukashima survived well beyond it’s operational design. The new designs have taken into account the problems of Fukashima and now can learn quite a bit from the disaster. If we are busy running from demons instead of using our intellect to asses and work past them then we are doomed on so many of the difficult issues that will face us as a society, nation and world in the future. I hope this makes some sense to someone, thank you. Public support of specific projects is always persuaded by large scale media operations. If you doubt that, just review the history of any sports arena that involved public funding. I’m a Green, but when it come to understanding the risks of the closest (to me) nuclear plant, Diablo Canyon, I would listen to my Republican Congressman, Sam Blakeslee. He just happens to have expertise (and a PhD) in seismology and he is not convinced. Fukushima was a wake up call for us to put aside our technological hubris and pay attention to whether we can live with the consequences when something does go wrong.